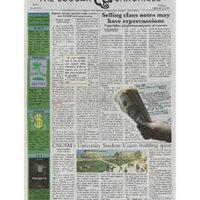 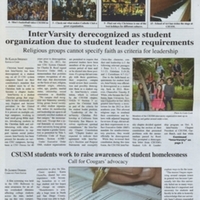 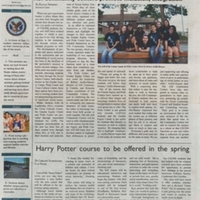 Volume 43, number 10 of The Cougar Chronicle. 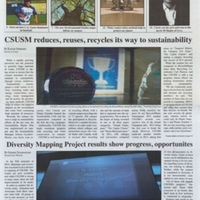 The issue is a sustainability edition, including other topics pertaining to diversity, and the passing of a student. 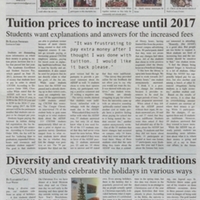 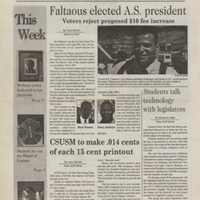 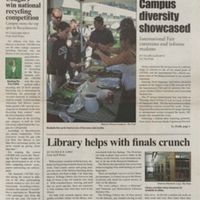 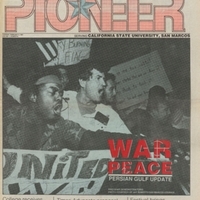 Volume 43, number 8 of The Cougar Chronicle. 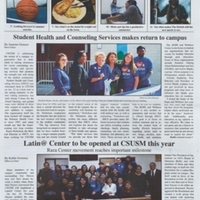 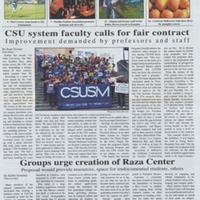 The issue includes stories of the Student Health and Counseling Services returning to campus and the announcement of the Raza Center for Latino students opening later in the year.